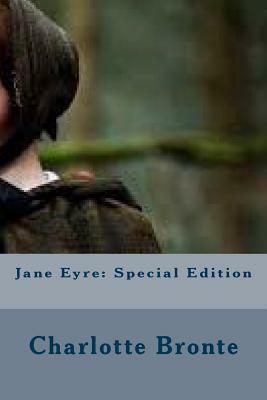 A classic coming of age story, "Jane Eyre" is the tale of its title character, a poor orphaned girl who comes to live with her aunt at Gateshead Hall. While there she endures great emotional and physical abuse at the hands of her aunt and cousins. Jane subsequently ships off to Lowood, a Christian boarding school for poor and orphaned girls. The conditions at the school are quite brutal. The students are subjected to cold lodgings, poor food, inadequate clothing, and the harsh rule of the administrator, Mr. Brocklehurst. The maltreatment of the students is eventually discovered and after some changes life becomes more bearable. She eventually finishes her coursework and spends a period of time as a teacher at the school. After leaving Lowood she gains a position as a governess at Thornfield Hall working for Edward Rochester, a man whom she will eventually fall in love with. "Jane Eyre" is the story of one woman's struggle to overcome adversity. The novel was revolutionary in its day for its examination of the internal conflict of its protagonist and for the way in which it addressed the themes of class, sexuality, and religion in the mid 19th century. This edition is printed on premium acid-free paper and includes an introduction by Mary Augusta Ward. We are delighted to publish this classic book as part of our extensive Classic Library collection. Many of the books in our collection have been out of print for decades, and therefore have not been accessible to the general public. The aim of our publishing program is to facilitate rapid access to this vast reservoir of literature, and our view is that this is a significant literary work, which deserves to be brought back into print after many decades. The contents of the vast majority of titles in the Classic Library have been scanned from the original works. To ensure a high quality product, each title has been meticulously hand curated by our staff. Our philosophy has been guided by a desire to provide the reader with a book that is as close as possible to ownership of the original work. We hope that you will enjoy this wonderful classic work, and that for you it becomes an enriching experience.